Knights captain Milan Batur has said the sky’s the limit with the Club’s Westfield FFA Cup campaign, citing Leicester City’s English Premier League heroics as a good enough reason to never say never. 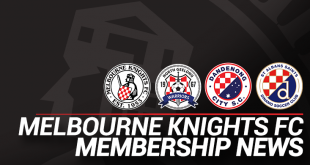 Speaking to Knights Media following the club’s Round 6 draw, which saw Andrew Marth’s men picked to play Dandenong City, Batur said the cup was an opportunity to prove themselves. “The FFA Cup is very important to the players, the club and the community as a whole,” the skipper said. 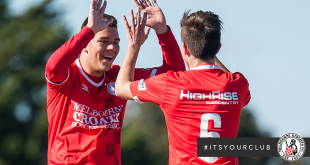 Addressing Wednesday’s cup draw, which set up a rematch of this year’s Vic Cro Cup pre-season tournament, Batur dismissed the loss against Aaron Healey’s side. “Yes, we played Dandy City earlier in the year and they were a well structured side, but now it’s completely different. 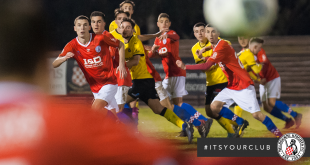 The Knights come into the FFA Cup clash against City after a truly dramatic Round 5 fixture against Oakleigh Cannons, which saw the Club turn around a 1-0 deficit to win 2-1 with goals in the 89th and 90th minute. Batur said that result has instilled a never-say-die mentality, which he hopes to take into the game against Dandenong. 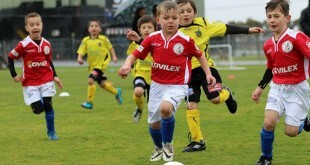 “The boys are both excited and relieved that we beat Oakleigh,” Batur said. 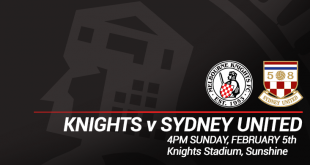 Knights face Dandenong City in Round 6 of the Westfield FFA Cup at Knights Stadium, with the date to be confirmed soon, however it’s scheduled to be played mid-week during the week of May 22nd.